The average American’s sodium intake is much more than the recommended dosage. The AHA recommends people aim to eat no more than 1,500-2,300 mg per day. Most Americans consume an average of 3,400 milligrams of salt a day. Did you know those nasal decongestants may raise blood pressure? These medications are used to combat allergy and most of them contain certain ingredients that raise blood pressure like for instance pseudoephedrine. How can you distinguish drugs that contain these ingredients? One helpful tip is to watch for the letter “D” after the brand name, which means that the remedy contains such a substance. 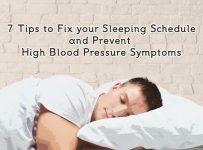 If you have high blood pressure, look for warnings about high blood pressure on your medications. The AHA recommends no more than two drinks per day for men and one drink per day for women. Drinking too much alcohol can have a negative effect on your blood pressure. Alcohol makes central nervous system unable to control blood vessel response to higher blood flow (as for example during stressful conditions). Occasional binge drinking could be harmful too for someone with borderline hypertension. A healthy weight is essential for good heart function, but most people do not know that losing as little as five to ten pounds may help lowering blood pressure! As people get older, arteries and heart valves lose their elasticity, making it harder for the heart to pump blood effectively. Consequently, the body may need a little more pressure to provide the necessary amount of blood to vital organs. This means that they need the maximum limit allowed for their age. This The reasons why some people’s blood vessels lose their elasticity sooner than others are not clear. 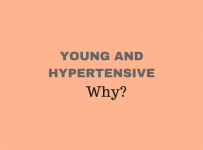 In such cases, it is not always worthy to treat mild hypertension (140-149 systolic, 90-99 diastolic). 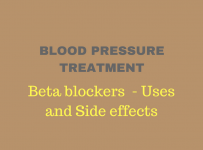 It has been observed that antihypertensive medication for people with mild hypertension only, does not reduce deaths from heart attack and stroke. 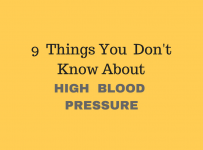 High blood pressure alone with no risk factors like: heart disease, diabetes, obesity and high cholesterol is not a major concern. For instance, if you suffer from an aneurysm of the aorta (an abnormal enlargement of the biggest vessel of the body originating from the heart) you must keep your blood pressure low to prevent a fatal rupture of an aneurysm. Your doctor will use the Framingham calculator to estimate your risk of having a cardiovascular event. The score of this calculation will help to decide if you really need medication or not.